If you have an online business in France location and looking forward France dedicated server hosting plans at very cheapest price with wide range of specification and best suitable for their Windows or Linux based server hosting. France To engaging your target audiences in the internet world, you have to opt for dedicated Server Hosting France. However, it is also vital to note that there are various considerations to make sure that you are availing the right type of web hosting service. In order to select a cheap Dedicated Server France, you have to make sure that you carefully weigh your options. You have to opt for a service which would benefit your business the most. What is The Best Dedicated Server France? It is that type of server hosting in which a single server is rented to the owner of the website. It usually implies that the client would have complete control over the server. Additionally, it can be said that the site of the client utilizes all the hardware resources of a particular server. 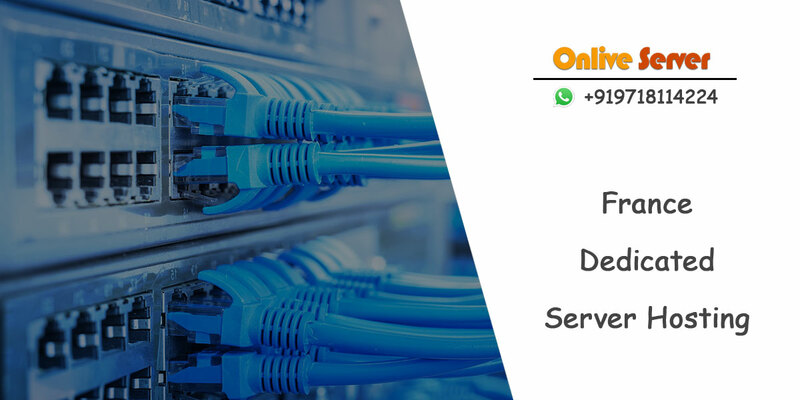 It carries a plethora of advantages, and this is why you as an online business should always opt for France Dedicated Server Hosting to avail peak performance. We always use high quality and branded software in our hosting server. with the use of Intel Xeon 2 x E5-2650v3 we offer you up to 20c × 3.0 GHz frequency, up to 128 GB RAM, up to 2 TB SATA for transfer your data, Up to 1 Gbps speed, Up to 20 TB Bandwidth, up to 29 IP subnet, choice of operating system, control panel facility and many more. We give the facility to choose operating system according to our customer need. A lot of benefits are associated with these types of servers nowadays. For instance, this type of hosting is more trustworthy. It is so because it does not share its bandwidth with any websites. A dedicated Server France also helps a great deal to improve the scalability of any online business. Hence, they can increase the size of the website whenever it is needed. When a dedicated server is shared between the client websites, it renders them with more flexibility and control. It also provides regular updates on security patches which in turn protect the client from various types of cyber threats. In other words, a dedicated server always facilitates better work security.